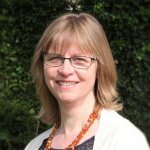 To end this special week launching our new series Evidence for Everyday Health Choices, which has also seen Eddie Izzard start his attempt to run 27 marathons on consecutive days for Sport Relief, we’ve looked at some Cochrane evidence that can help runners make choices about preventing and treating injuries. Ok, I admit it. There’s nothing everyday about Eddie Izzard. Wikipedia’s description of Izzard as ‘an English stand-up comedian, actor, and writer’ doesn’t begin to cover it and I think he might have a thing or two to say (in several languages) about that ‘English’, when he describes himself on Twitter as a British European who thinks like an American and was born in an Arabic country! Eddie Izzard, at 54, is three years my senior and attempting to run a marathon a day for 27 days, while I can’t imagine running much further than the bus stop. He’s doing this astonishing thing, in South Africa, right now, to raise money for Sport Relief. This is extraordinary, but lots of you run, and even run marathons, though I’m guessing not on consecutive days! From the comfort of my desk, this is where I can help, with the latest Cochrane evidence on ways to tackle muscle soreness and soft tissue injuries related to running. 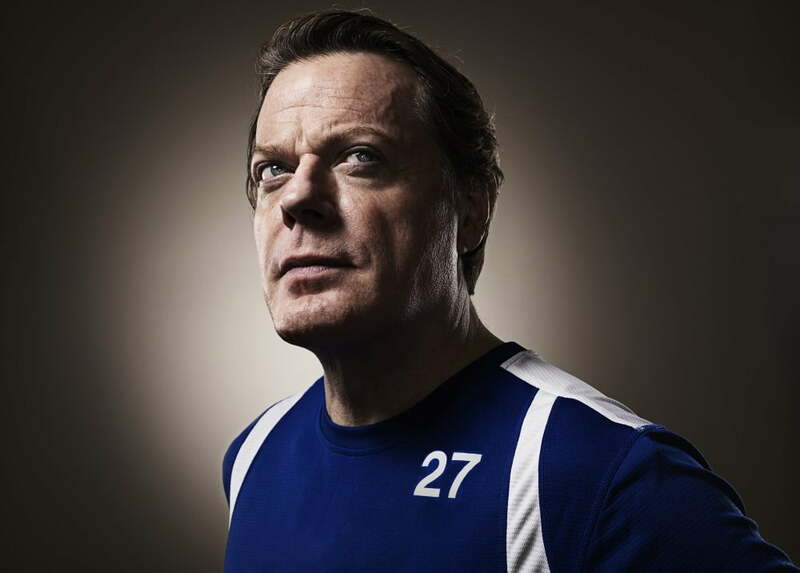 In his previous multi-marathon adventure back in 2011, Eddie Izzard apparently took daily ice baths, which he regarded as a ‘necessary evil’ to keep his legs from swelling. So what can Cochrane evidence tell us about ‘cryotherapy’? There is some evidence in this Cochrane review that cold water immersion (at temperatures of less than 15°C) may reduce muscle soreness after exercise, but we can’t be confident about this, due to weaknesses in the studies. Also, we are left guessing about the best method of cold water immersion, its safety, and how it compares to alternative approaches. Whole-body cryotherapy (exposure to liquid nitrogen or refrigerated cold air) is increasingly popular, not least amongst celebrities, professional sports people and (bafflingly) the population of Thames Ditton, but does it work? A recent Cochrane review found that there is no reliable evidence that whole body cryotherapy for muscle soreness after exercise is either effective or safe. You can read more about that in this blog. Stretching before and/or after exercise is an everyday thing to do, but is this supported by evidence? I’m afraid the best available evidence, from a Cochrane review of randomized studies, suggests that muscle stretching (before, after, or before and after exercise) does not prevent or reduce muscle soreness in healthy adults. Another Cochrane review found that there is no evidence that stretching or conditioning exercises reduce lower limb soft-tissue running injuries. The same review includes two randomized studies with almost 5,800 military recruits comparing standard running shoes with running shoes based on individuals’ foot shape. The type of shoe made no difference to the rate of running injuries. It’s plausible that shock-absorbing insoles could help reduce running-related soft-tissue injury but there’s no reliable evidence that they do. Nor is there evidence that individually prescribed insoles are better than off-the-shelf ones, or that shock-absorbing insoles are better than non shock-absorbing ones. There’s limited evidence that shock-absorbing heel inserts can reduce the incidence of lower extremity soreness during periods of high intensity running. There is limited evidence that reducing duration and frequency of running may be effective. This comes from research done with prisoners and may not be generalizable to others. There is no evidence that a graded (longer) training programme is more effective than a regular training programme for preventing injuries in new runners, and may even result in an increase in shin splints (again, this is from research with a particular group – military recruits – and other groups may be different). There’s reliable evidence, from a Cochrane review, that topical non-steroidal anti-inflammatory drugs are an effective and safe way of relieving acute musculoskeletal pain. Gel formulations of diclofenac, ibuprofen and ketoprofen, and some diclofenac patches, were found to be the most effective. They won’t work for everyone, but in the research studies seven or eight people out of ten using diclofenac or ketoprofen gels for a painful strain, sprain, or muscle pull had much reduced pain after seven days, compared with only two or three out of ten with placebo. You can read more in this blog. Eddie Izzard is a great champion of accessibility. Speaking of his recent stage show, Force Majeure, he said anyone would get the references, ‘no matter what the country’. It’s a show he performed in three languages and there are subtitles in 17 languages on the DVDs. Making evidence widely available (including in numerous languages) is a really important part of what we, and our worldwide Cochrane colleagues, do. This is the last of the blogs in our special week to launch Evidence for Everyday Health Choices, a series we will continue, with the aim of making it easier for you to get trustworthy information from the best available research to help you make choices about your health. This blog was subsequently published, with changes, in the Mail Online here. Join in the conversation on Twitter @ukcochranecentr @SarahChapman30 #EEHealthChoices, and look out for our blogshots as well as our blogs. You can read about this series here, watch our new slide cast explaining what evidence-based medicine is and how it can help us make health choices, and catch up with this week’s blogs on retainers for keeping teeth straight after orthodontic treatment; grommets and whether water precautions are necessary; and constipation – how to avoid it and what can help. The other images have been purchased for Evidently Cochrane from istock.com and are not available for reproduction. Running marathons Izzard enough: what can help? by Sarah Chapman is licensed under a Creative Commons Attribution-NoDerivatives 4.0 International License. Based on a work at http://www.cochranelibrary.com. Bleakley C, McDonough S, Gardner E, Baxter GD, Hopkins JT, Davison GW. Cold-water immersion (cryotherapy) for preventing and treating muscle soreness after exercise. Cochrane Database of Systematic Reviews 2012, Issue 2. Art. No. : CD008262. DOI: 10.1002/14651858.CD008262.pub2. Costello JT, Baker PRA, Minett GM, Bieuzen F, Stewart IB, Bleakley C. Whole-body cryotherapy (extreme cold air exposure) for preventing and treating muscle soreness after exercise in adults. Cochrane Database of Systematic Reviews 2015, Issue 9. Art. No. : CD010789. DOI: 10.1002/14651858.CD010789.pub2. Yeung SS, Yeung EW, Gillespie LD. Interventions for preventing lower limb soft-tissue running injuries. Cochrane Database of Systematic Reviews 2011, Issue 7. Art. No. : CD001256. DOI: 10.1002/14651858.CD001256.pub2. Derry S, Moore RA, Gaskell H, McIntyre M, Wiffen PJ. Topical NSAIDs for acute musculoskeletal pain in adults. Cochrane Database of Systematic Reviews 2015, Issue 6. Art. No. : CD007402. DOI: 10.1002/14651858.CD007402.pub3.